Gluten Free cakes delivered Blackburn, Vegan cakes Bolton, Dairy free cakes delivered Burnley, Rochdale birthday cakes delivered. cupcake deliveries. Icing On The Cake is a family based cake maker’s based in Bacup, Lancashire with over 32 years of cake making experience. 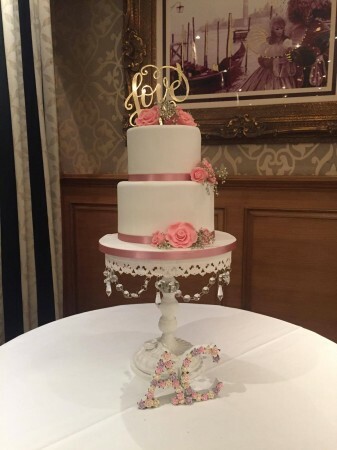 We specialise in freshly made Contemporary and Traditional Wedding Cakes, Birthday cakes, cupcakes, baby shower cakes, celebration cakes, and cakes because we fancy cake- cakes! Being fully registered with our local council and insured we deliver to Blackburn, Burnley, Rochdale, Bolton, Oldham and surrounding areas- all prices quoted include delivery. We also cater for gluten free, dairy free and vegan customers. Many of the designs can be adapted to suit your preferred colour scheme, but if you can't see exactly what you're looking for please email ask@mumsbakecakes.co.uk quoting Icing on the Cake Bacup- where I'm sure we can create something special together.